TL and I both love San Francisco. I went to college there, we began our relationship there, and his mom lives there. We are fortunate to spend a lot of time in such a beautiful place. We went to Corte Madera Village, in Marin, and oh my goodness, what a beautiful shopping area. They had a ton of great stores (including Restoration Hardware Baby... only one in nor cal). It turned into being a shopping afternoon for our sweet baby girl. 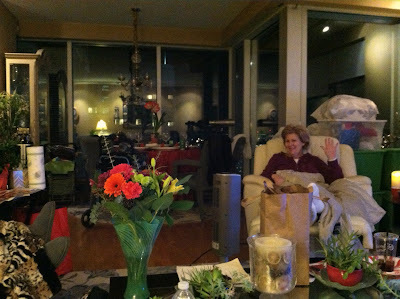 It was such a blessing to be shopping with my mom and MIL together... and we made memories that I will always treasure! We are so lucky that our families get along and enjoy each other's company. TL and I are making some serious progress on the nursery... we've got most of the furniture ordered and after some issues with the curtains, I think we found some. It's so much fun putting it all together. My MIL in RH, we loved those lamps! New presents for our girl... why do baby clothes have to be so cute? Maximus & Zeus enjoying the niner game. My dad, TL, Dave, and Joe (My BILs) at the niner game! A snapshot of our drive back from Marin... SF is truly a special place. I just LOVE SF too! What a great city! Glad the 49ers won! The Seahawks lost so we'll be cheering for you guys - gotta support our west coast teams! And I just LOVE the baby girl outfits, so sweet! I have never been to SF. That last picture makes me want to book a ticket today! The outfits you picked up are adorable. Can't wait to see how you decorate her nursery! SF is definitely my favorite city of all time - just don't tell NYC I'm cheating on it! It's such a beautiful city, I'm so jealous you get to spend so much time there. and how much am i dying over that bathing suit right now... omg. that girl is going to be such a fashionista! I LOVE San Fran. It is such an awesome city. I'm so jealous that you live so close. 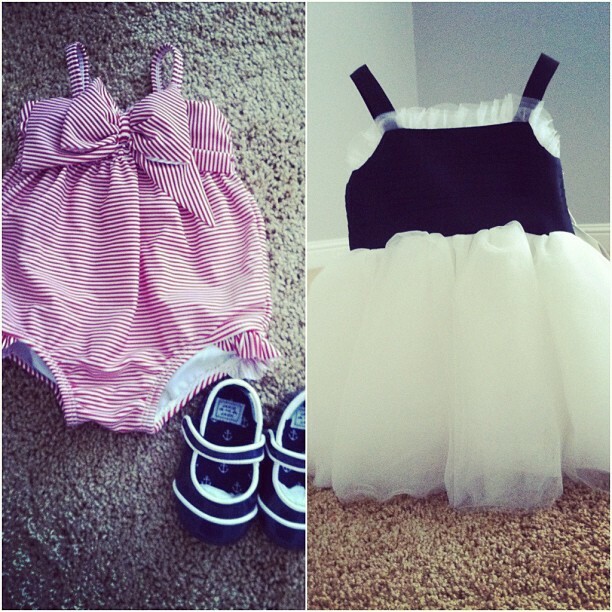 Those baby items - the bathing suit and even more so the dress - cutest things ever! HA! Seeing that cheesecake makes me want some. Love it so much. Looks like a great weekend. Like you said it is so nice that your fam and his fam get along. I love those baby clothes. So cute! I can't wait to make a trip up to SF. I've never been and its on my very, very short list. Plus, I love the cute pieces you picked up for your little bambino! Too cute! 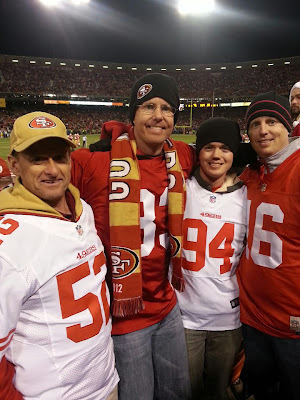 LOVE, LOVE, LOVE that city by the bay and so happy our Niners won! I've always wanted to visit SF! Maybe one of these years I'll get there. Sounds like you had a great weekend. Those baby outfits are beyond precious and nothing says celebration like Cheesecake!! I LOVE SF! I'm so glad to live so close to it in Sacramento. Those baby clothes are too cute! She is going to be one fashion forward baby! You are going to have so much fun dressing your little girl! Hey! Corte Madera is only 15 minutes from me! I go there all the time. Next time you're there let me know, maybe we can meet for coffee! Oh and Restoration Hardware Baby is a dangerous dangerous place. As is PB Kids. 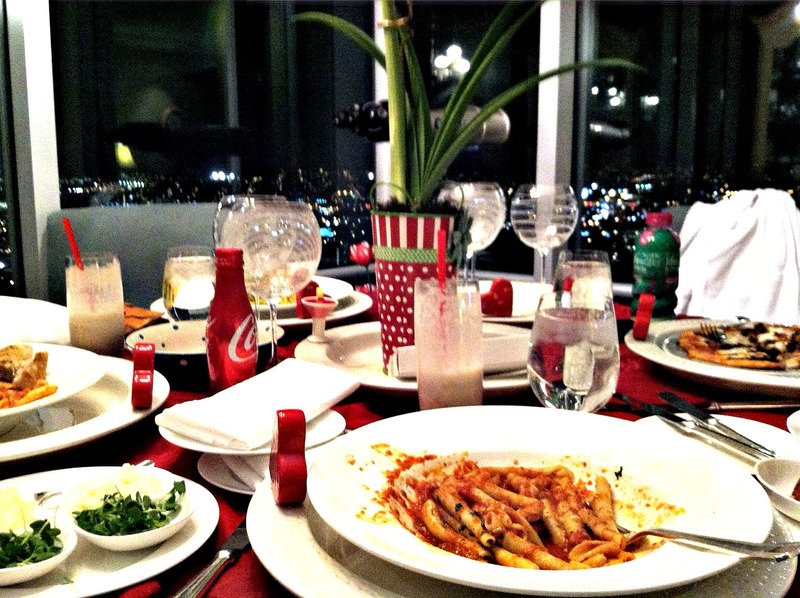 I love that chandelier lamp! congrats to y'all! i was so sad my falcons lost though!